The first 20 miles or so was on stop & go traffic out of Manhattan, had this been purely highway I could've easily passed 215. And this was my average throughout the lifespan of that bike. 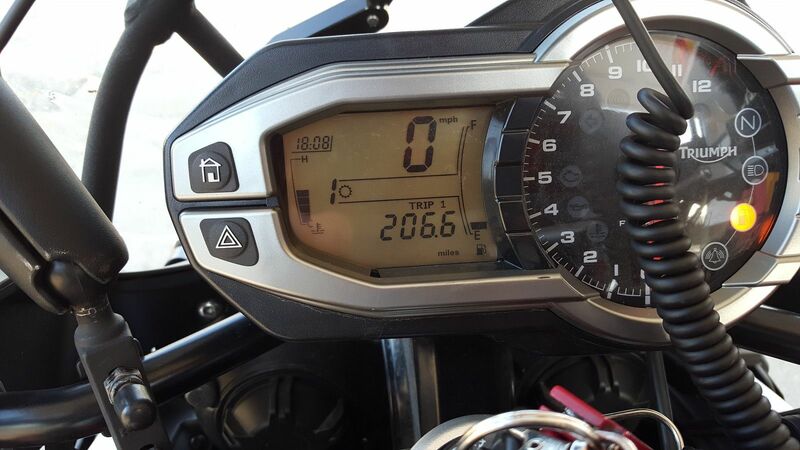 On my gen 2, I can get 210+ miles on a tank, if I keep the speed at 70mph or less, and take it easy on the throttle. But I got this bike for FUN, so those to conditions rarely happen. I typically see the fuel warning come on at 140-150 miles, fuel up around 180 miles with 1/2 to 3/4 of a US gallon left in the tank. I've noticed that when the speeds get above 75, mileage deteriorates very quickly. IV seen the trip say 220miles when IV filled the tank but never got anywhere near that .on the way back from Portsmouth doing between 60 and 80mph with top box cases and tent I run to about 150miles the tank took 19.5l to fill and the trip said 6 miles left in the tank.. So it's still leaving me well short of a 200 mile tank. 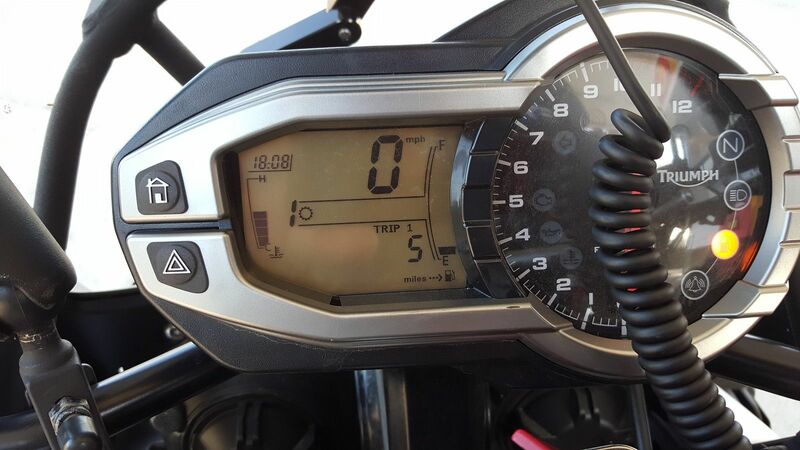 IV done about 26000 miles on the bike so no it's never been doing the miles you guys are getting. It has a k&n and aftermarket end can . I know I could get 200 miles from a tankful......it's just that I don't. I blame the power, torque & exhaust note. It has nothing to do with my right hand, honest. If I'm honest I have never paid attention to the mileage and I've covered over 30k. I figure it's a heavy beast with a fairing and a 1215cc engine so MPG has never been something I have thought about. For your reference, I never take the side cases or the top case off. They are pretty much loaded at almost all times. I don't push the bike too hard, but I don't shy away from speed or dashes either. I lean, break and use that engine to its fullest. So my average is almost ~190 / ~200 or sorts. But warmer weather, stuck in traffic, off-roading, these change the outcome, naturally. Still, you need to remap that bike brother. On a run to the penguins rally in Spain with a GS 1200 and a super tenere last week.I was putting 5l more fuel in then them. But what was the comparison by cost? The GS would have been putting in higher RON fuel than you need. Probably similar to you when measured in dollars. And you don't say how you ride, or at what speed, with what load. Those things make a helluva difference. I find speed and wind direction to be the biggest factors in determining fuel consumption. I'm usually in top, unless doing twisties through the hills with my club. And I stay (mostly) within the speed limits, to reduce the drain on my wallet. I've had my Gen 1 for 7 years, with 70,000Kms aprox.. I have always counted on hitting my refuels at 350-360 Km range... (217-223 Miles) fully loaded, one up, with Panniers, Topbox, and a 35litre Kit bag.. I'm guessing about 300 KGs Mass. That is using Aus 98RON.. at 110 - 130 Km/ph.... I get less, as Ken says, due to external Physical Factors.. So ,,, yeah . you got an issue there fella.